Why: Creating a forum for members to network, learn, and grow. 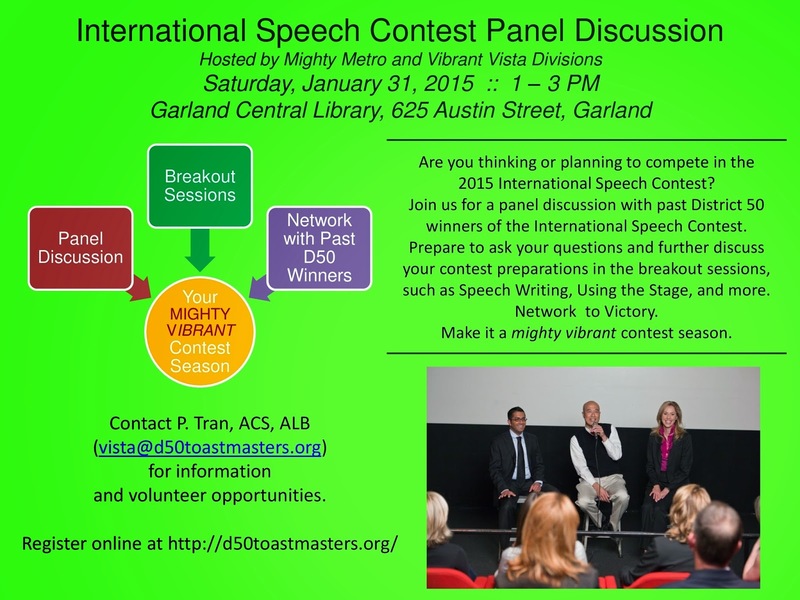 Sharing best practices and experiences help members achieve their goals be it contest competition or public speaking. Members get a chance to ask past District 50 international speech winners questions in a panel discussion. The second hour offers breakout sessions for members to converse in greater detail on their subject of interest. Previous Post LinkThe Importance of Originality in Contest SpeechesNext Post LinkSanta Loves Toastmasters!